(Jan. 19, 2018) -- On Monday, The University of Texas at San Antonio (UTSA) will open a new Dreamers Center to provide support to the university’s DACA (Deferred Action for Childhood Arrivals) recipients and other undocumented students. The center represents a physical expansion of the Dreamers Resource Center website that launched last September, soon after the Trump administration announced its decision to end DACA. Originally scheduled to open in early February, Eighmy made the decision to accelerate the center’s launch in order to fast-track service delivery. The status of DACA students remains uncertain as negotiations regarding the program’s future continue in Congress. The university is currently searching for a permanent, full-time Dreamers Center Program Manager to coordinate services, programming and community partnerships. Until that position is filled, Courtney Balderas-Jacob, UTSA assistant director for international student services, will serve as the center’s interim program manager. The Dreamers Center will assist undocumented UTSA students with services ranging from legal to financial to emotional. One of the center’s first projects will be to establish a formal agreement with the Refugee and Immigrant Center for Education and Legal Services (RAICES), a local nonprofit that collaborated with UTSA last fall to offer DACA-renewal workshops. In addition to legal referrals, the center will provide students with referrals and information regarding counseling services, peer mentoring and funding opportunities, as well as educational programming for students, faculty and staff. The center’s program manager will also work with designated UTSA faculty and staff in departments and offices throughout campus, cultivating a campus-wide referral network for Dreamers. 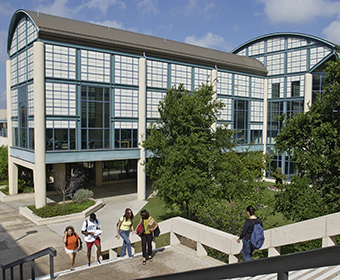 UTSA’s Dreamers Center will be located in the UTSA Student Union within the Student Center for Community Engagement and Inclusion (UC 2.01.04). Inquiries and appointment requests can be made by calling (210) 458-7777 or emailing dreamers@utsa.edu. The Dreamers Center will hold an open house for the UTSA community on Monday, January 22 from 10-11 a.m. Learn more about the UTSA Dreamers Center.